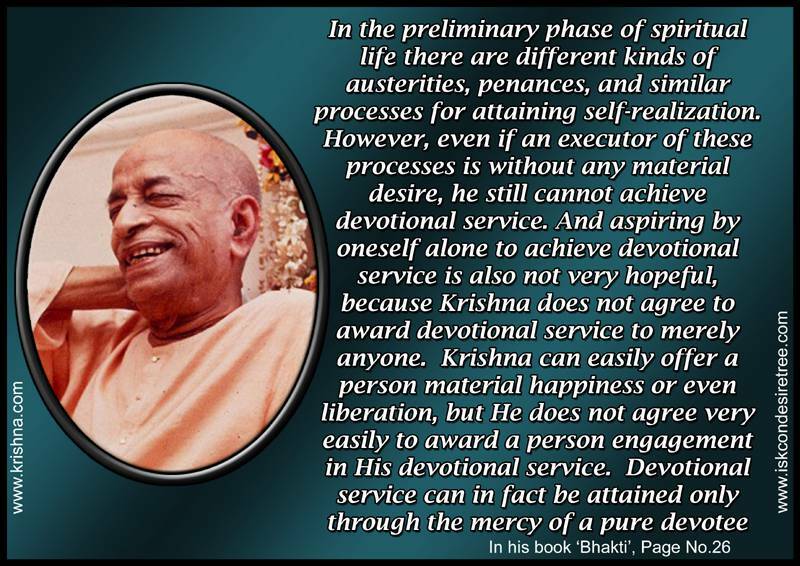 Always remember why you have joined ashrama or ISKCON. The real purpose of doing so is to be engaged in devotional service. In the preliminary phase of spiritual life there are diffrent kinds of austerities, penances and similar processes for attaning self-realization. 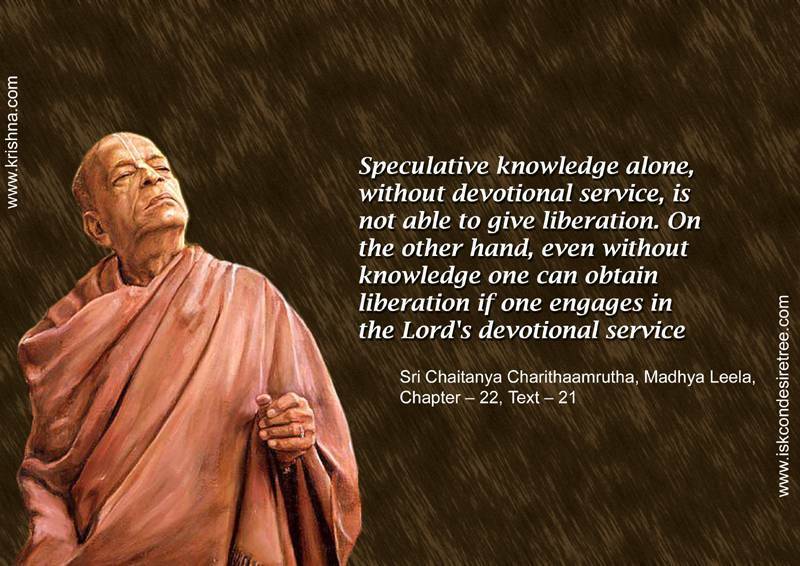 However, even if an executor of these processes is without any material desire, he still cannot achieve devotional service and aspiring by oneself alone to achieve devotional service is also not very hopeful, because Krishna does not agree to award devotional service to merely anyone. Krishna can easily offer a person material happiness or even liberation, but he does not agree very easily to award a person engagement in His devotional service. 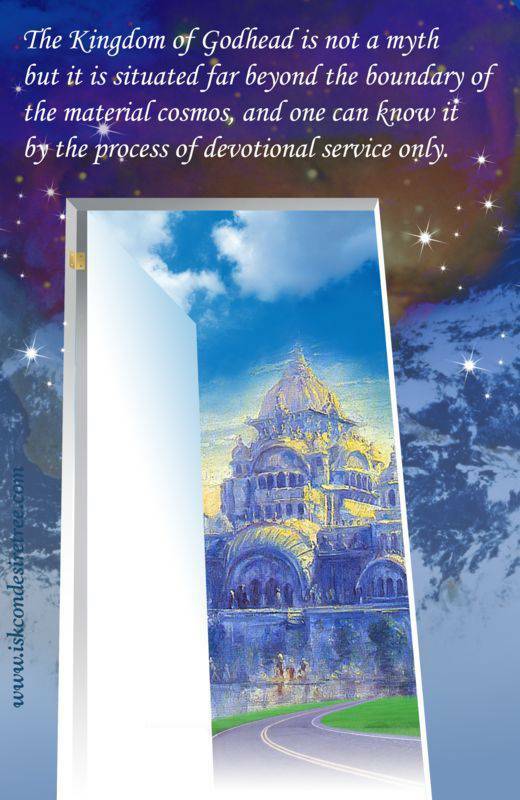 Devotional service can in fact be attained only through the mercy of a pure devotee.